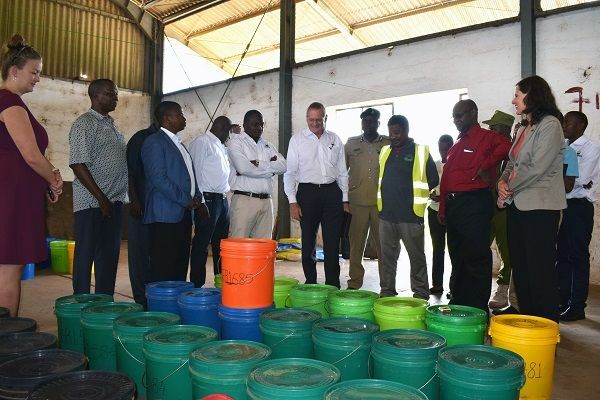 Black Rock Mining Limited (ASX:BKT) is about to start transporting ore from its high-grade, 100%-owned Mahenge graphite project in Tanzania for testwork to confirm its process flowsheet and prepare more product samples for market pre-qualification. 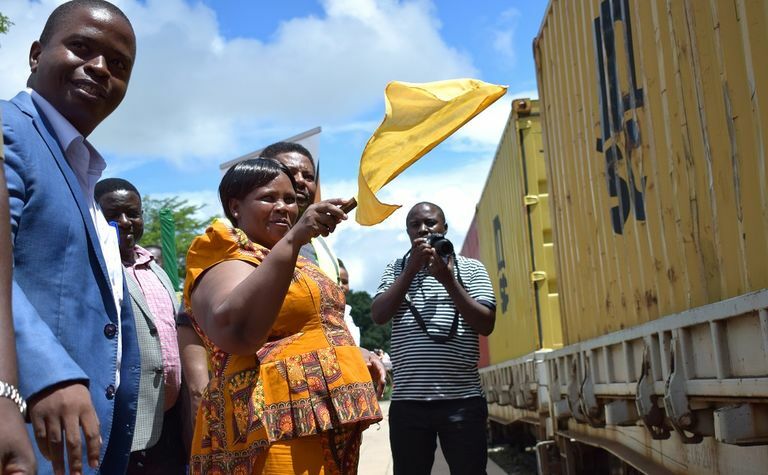 Underlining the significance of the milestone, Morogoro Mining Commissioner Teresa Ntuke representing Tanzanian Deputy Minister of Minerals, Doto Biteko, is formally sending the Mahenge sample on its way via a ceremony at the Ifakara rail junction. 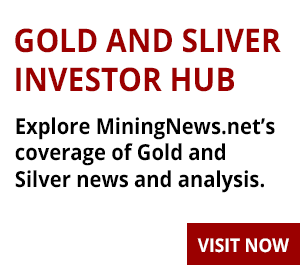 Black Rock Mining managing director John de Vries talks to RESOURCEStocks about recent progress at the world-class project. RESOURCEStocks: John, firstly, the recent pilot plant testing by SGS Lakefield in Canada has gone well. You've said production of a premium-sized product with plus-97.5% carbon loss on ignition (LoI) and little need for polishing, off a basic preparation circuit, "is simply stunning". Why so significant? John de Vries: What the pilot plant has been able to do is produce large, high-grade flake graphite straight off a three-stage flotation cleaning circuit, with a modest amount of polishing. If you look at the flake market … you have graphite that sells from US$650/tonne for refractory grade through to $2,500-3,000/tonne for some of the specialty grades. The pilot plant has demonstrated that we've got a bias towards being able to produce the specialty grades. It validates that price [projection] in our pre-feasibility study (PFS) because off the back of those pilot plant results it looks like we're able to produce products that are in demand for specialty applications. And the big one there is graphite for fire-proof cladding. Our focus is on doing the necessary product development work to avoid product commodification. Anybody can sell a $3,000/t product for $600/t. Selling a $3,000/t product for $3,000/t is a lot harder and requires a bit more work. But obviously it pays to do that work early. RS: The pilot plant has so far produced about 10t of concentrate. Your using the local rail haulage option to transport ore for more plant design work and potential offtake party testing, a process that starts this week in - it's got to be said - an unusually high-profile way? JdV: Yes, this is a key step in enabling pre-qualification [with prospective customers] and establishing Mahenge graphite concentrate as premium quality in the market. 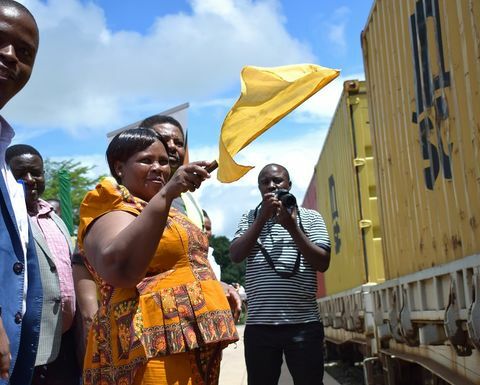 And yes, the deputy minister of mines, honorable Mr Doto Biteko, represented by Morogoro mining commissioner Teresa Ntuke, cut the ribbon on the first bulk shipment we sent out through the port of Dar es Salaam. That's a terrific signal, I think, for Tanzania as well as for Black Rock. We've had the pilot plant data come out, we've submitted the draft Environmental and Social Impact Statement, and we've commenced on the back of that, the resettlement policy framework development. And we've finished the drilling and the bulk sampling work that we started late last year. So we've had a series of positive project milestones for Black Rock. In addition, we've secured the support of the Tanzania Investment Centre, and now have this official government participation in a process aimed at demonstrating the unique value of the Mahenge resource and the Tanzanian graphite industry as a whole. So that's why I say, I think this is a good news story for Tanzania, rather than just a good news story for Black Rock. RS: This next shipment is also heading to Canada? JdV: Yes, the sample goes to SGS Canada where we will run it through an optimised pilot plant. From this we can fully mimic the designed circuit and test what variability we can expect from performance and product. This will allow us to have a high level of confidence that the design will deliver on product specification. It also allows us to push for performance warranties for items of plant: project risk management 101. Finished products will be shipped to customers to continue product qualification and testing. RS: Why Dar es Salaam, by the way, and not the port at Mtwara? JdV: Dar es Salaam is the fourth largest deepwater port in Africa. A lot of other projects are shipping from Mtwara but it's a lot smaller and doesn't have the number of ships. One of our advantages is logistics given we have access to both rail and deep water port with frequent sailings. RS: What's the significance of the TIC registration? JdV: The investment centre is a one-stop shop for dealing with the government and having access to that to facilitate the processes is a giant leap forward. It simplifies our permitting processes and should speed up the whole process. RS: Given the geopolitical situation with Tanzania right now, with the mining industry in particular facing regulatory uncertainty, what is the message being sent by the deputy minister's involvement in Black Rock's project milestone? JdV: Well I think there are two key messages with this. One is it's significant enough that the deputy minister agrees that the mining commissioner should cut the ribbon. That, to me, is saying that if you do the right thing, the government is prepared to work with you. What it also says is that we can ship product out of Tanzania. If you follow the protocols and procedures, you can get that happening. I think the mining industry is being cautiously welcomed back. We've always said our strategy is crawl, walk, run … Well, we're starting to crawl. We'll look back at this in a year's time, I think, and see it as a major step in the trust levels between investors and government. RS: What is happening in the graphite markets at the moment - we've obviously had the very significant inauguration this month of a major graphite mine outside China, in Syrah Resources' Balama operation in Mozambique? JdV: There are a couple of interesting dynamics in the market at the moment. A fair portion of Chinese industry production remains cut due to environmental concerns. The environmental concerns around graphite in China are exactly the same concerns as those around low-grade iron ore. So, we've seen that same preference by Chinese industry for higher quality graphite which was obviously well timed because Syrah has come in there and pushed against an open door. Syrah has been able to fill the void left by the Chinese which is in the market for small, lower grade flake. Quite a few of us were expecting some sort of Armageddon event for graphite prices and it has not eventuated. We're yet to see Syrah's prices which will come out in its quarterly report, that will make interesting reading. But what we're seeing certainly in spot prices is that they haven't been as bad as they could have been. At the higher end of the market there is this increasing geopolitical tension around product supply for the [EV/broader consumer] battery market, and other high-value uses. If you do have an environment in which significant trade barriers start to reappear, control and access to that raw material is going to be important. And if you've got a deposit that is truly much better than its peers - think the Tom Price and Mt Whaleback of the iron ore world - and you're able to deal higher up in the product chain, that starts to get to be very strategic in terms of the geopolitical environment you're working in. RS: Is getting construction underway at Mahenge by the end of this year a realistic proposition? JdV: No, we have said we'd get construction underway towards the end of Q2 next year. The workflow at the moment is the definitive feasibility study comes out in second half of 2018 - and potentially in the first half of that period - and out of that we'll progress into a comprehensive FEED - front end engineering and design - phase, because we want to be able to execute well in the field and execute for modular construction, and that needs a high level of engineering design. We'll finalise the pilot plant in August and September and use that data as input into the FEED process. We are progressing the environmental permitting; that's moving along very quickly. Where we go with offtake and MOUs on the back of the pilot plant … obviously we're working in that space very hard. I think this quarter will see a lot of the DFS engineering work substantially completed. We think early next calendar year we're in a position to issue [plant] contracts. It's a modular approach and it's a small mill. So we'd be planning to be coming out of the ground in May, 2019, and have the plant modules craned in for commissioning at the end of next calendar year. It's all contingent on finance, obviously. RS: The DFS and offtake interest are clearly pivotal on that front? JdV: Well, we've got good graphite and the current geopolitical atmosphere seems to be translating into a potentially easier path to financing than I'd previously envisaged. As I said I think this geopolitical atmosphere is going to drive people to have a closer look at control of resources, as opposed to simply being able to trade for the product. Having a deposit that is truly the best undeveloped graphite project in the world and executing well in that space should support financing. We're also seeing some innovation among our peers in the project financing arena. We'll watch that process closely and learn from what they do. At a high level, this is a mine in East Africa, so why not try to raise some money in East Africa? There is a middle class there. They want a return on their investment. They probably have a very different view on investment risk compared to our typical mainstream sources of capital. This will require some innovation, but certainly it makes sense to start financing this from within the local system. Having local investors as part of your financing syndicate not only aligns with the government's position, it also delivers some of the best political risk insurance you can get. We allowed for a 16% free carried interest in the project in August last year, so we don't see this as a significant step beyond that point. This is one of four strategies we are currently working on. Ultimately we believe there will be a capital market appetite for this project given how strong the financial metrics are, and how low the capex is relative to other projects. In addition, we have a very long mine life which generally makes financing easier, given it's one of the major derisking items for financiers. RS: Black Rock seems to be one of the few graphite developers moving forward in Tanzania, what are you doing differently to your peers? JdV: In a word, passion. We believe that ultimately this is a Tanzanian project in Tanzania. So, at the outset we are maximising local content. For example, for legal advice, we use local firms to do most of the work, as opposed to much higher cost foreign input. It's reviewed and guided externally by us, but ultimately the outcome is the result of local content. Both alternatives should produce a similar result, however one outcome is the work of Tanzania working to establish an agreement within Tanzania, the other is foreign input telling Tanzanian's how to run their legal system. There are obvious sustainability differences between the two outcomes. From a personal perspective this is the most rewarding part of the job, seeing the team embrace the challenges and opportunities and grow with the project. The hard part is trying to keep up with them.